If ever there was an incredibly hyped up baby product, Ewan the Dream Sheep is probably it. I speak to tonnes of people with babies every day and as a rule, most who've had Ewan in their lives, are convinced that they wouldn't survive parenthood without him. I'd never heard of Ewan three years ago when I bought him as a "congratulations on your new baby" gift for my friend. He just looked cute and it sounded like a cool gadget if it actually worked, so I ordered one from Ocado. Over a year later she was still infinitely grateful for the gift as he became the ultimate comfort for her son, who could go almost nowhere without Ewan, but, on the positive side, slept fantastically. 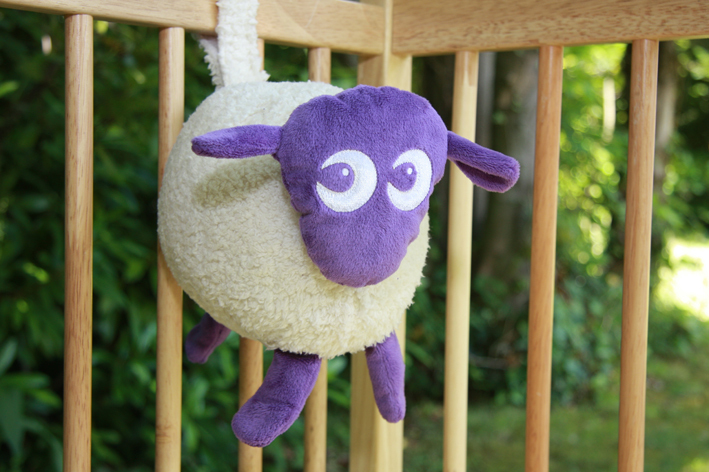 For those who aren't in the know, Ewan is a soft toy sheep, these days available with either a funky purple face and legs, or a more conservative grey. There are buttons in each of Ewans feet which, once pressed, cause his body to glow with a soft pink light, and play one of four soothing pink noise sounds (recorded at the low frequency of 125Hzs which is what baby hears in the womb). This combination of pink light and pink noise are supposed to recreate familiar comforts from the womb, and help babies to feel more secure and relaxed - thus helping them to settle and get off to sleep. Ewan plays four different sounds, including a womb effect, gentle waves, a not-especially-annoying harp tune, and the sound of a vacuum cleaner, all combined with the sound of a (resting) human heartbeat. He's also pretty cute to look at. 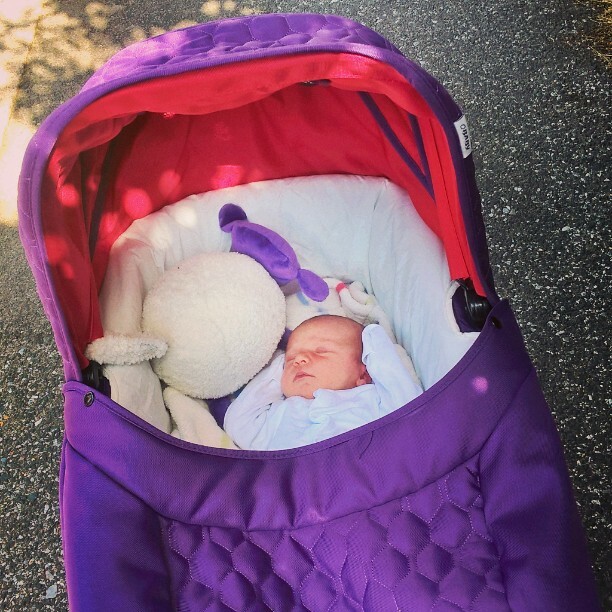 We have the purple version because it matches our purple pram - but I think in the grand scheme of things I actually prefer the grey! His fleece is super soft and once Quinn's old enough to cuddle soft toys I can see him being a favourite as he is beautifully made and feels great. Quinn's preferred track is the harp music but she's actually soothed by any of the sounds he makes. If I had another baby I would definitely buy Ewan again (I'm not having another baby - don't read anything in to that!) and I'll no doubt carry on buying Ewan as a gift for pregnant friends in the future. If I had suggestions for improvements though, it'd be nice to see Ewan made using organic materials, I can't find anything to suggest that this is the case so I'm going to assume that it isn't. I also find he absolutely EATS through even decent batteries, so would recommend investing in some rechargeable ones and keeping them on rotation as he does sound completely deranged once his battery life begins to fade!